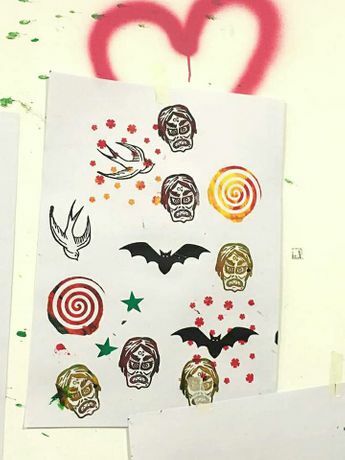 Paint Jam nights are a quirky night out in our pop-up art studio. 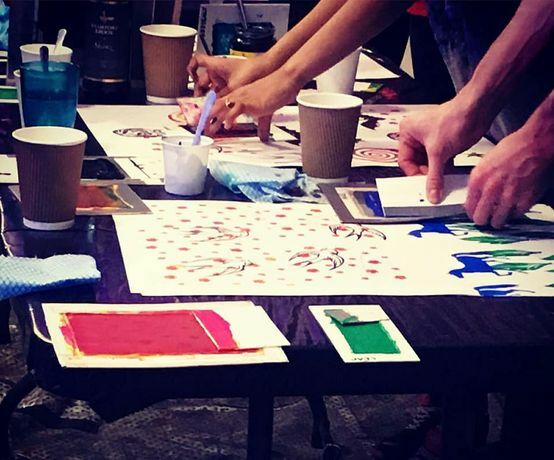 A unique social painting workshop with a bar, a DJ spinning tunes and paints a-flowing . Everyone gets to paint (this time print), get creative, mingle and go home with an original printed artwork. An arty party where music infuses art. Enjoy a prosecco & mince pie reception on arrival, intro print-making exercises on paper, then move onto printing your own take-home item of choice. Choose from T-shirts, tea towels, tote bags, cushion covers. Additional printing items will be available for purchase at the bar.